Mr. Uphoff implemented MinonkTalk.com on January 20, 2001, as a public forum for important community issues. More than 2000 viewers world-wide visit the web site each week. David has incorporated into MinonkTalk many stories and photographs of Minonk's history to provide citizens with a sense of tradition. 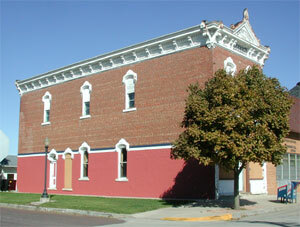 He remodeled a local historic building for the MinonkTalk office. For Minonk's sesquicentennial in 2004, he organized old photos into fifteen slideshows for public viewing, each related to a significant aspect of Minonk's past. This DVD may be viewed at the museum. 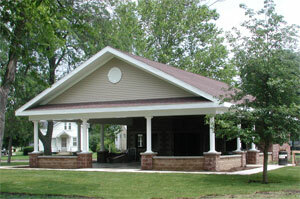 David was also instrumental in raising funds and building a beautiful pavilion for community use in Minonk's Westside Park to honor area veterans. It was dedicated during sesquicentennial festivities. Mr. Uphoff has been involved in the computer industry since 1966, following his completion of an MBA at Oklahoma State University. Prior to founding Datatron, his own consulting company in 1982, he had worked for Johnson & Johnson, Deloite-Touche, Thom McAnn and Cyborg Systems. He currently markets database software to clients throughout the world. In addition, David has developed a web site for Minonk area cemeteries. He resides in the farmhouse his great grandfather built.